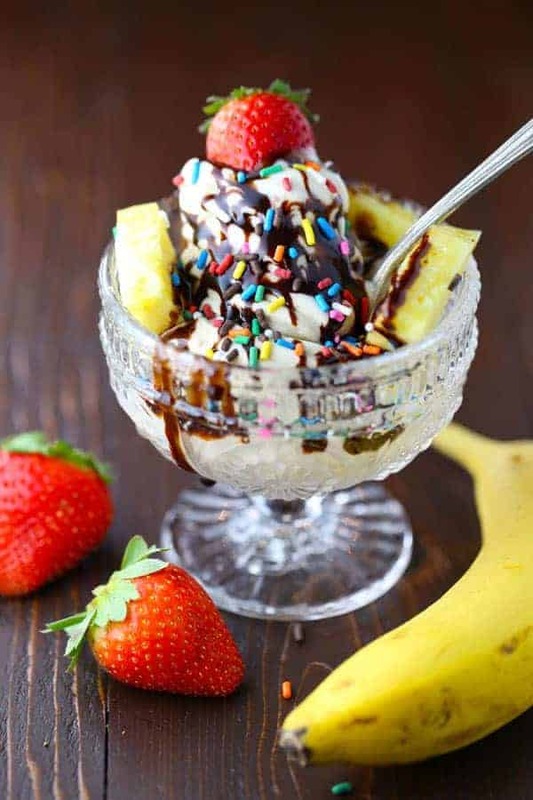 Banana Split with Nice Cream, a non-dairy and fat-free frozen dessert with all the classic toppings. 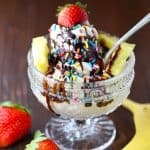 Have you ever heard of “nice cream”? 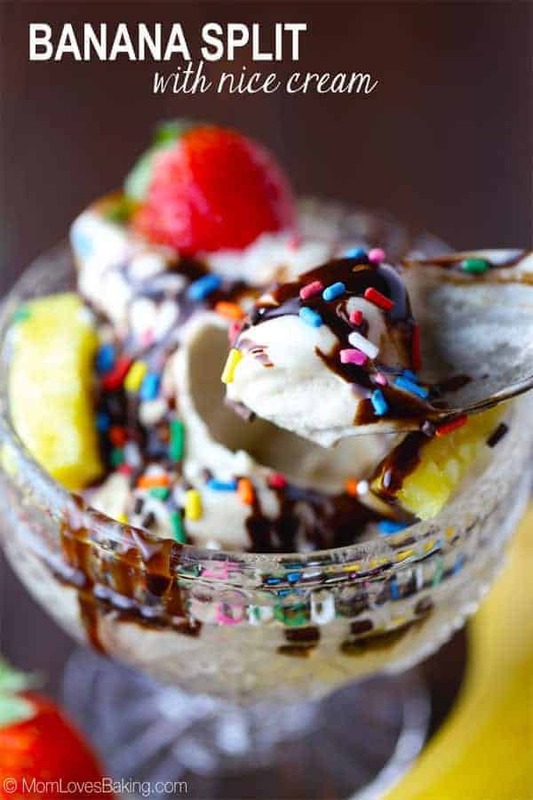 It’s a non-dairy frozen dessert that tastes just like ice cream. 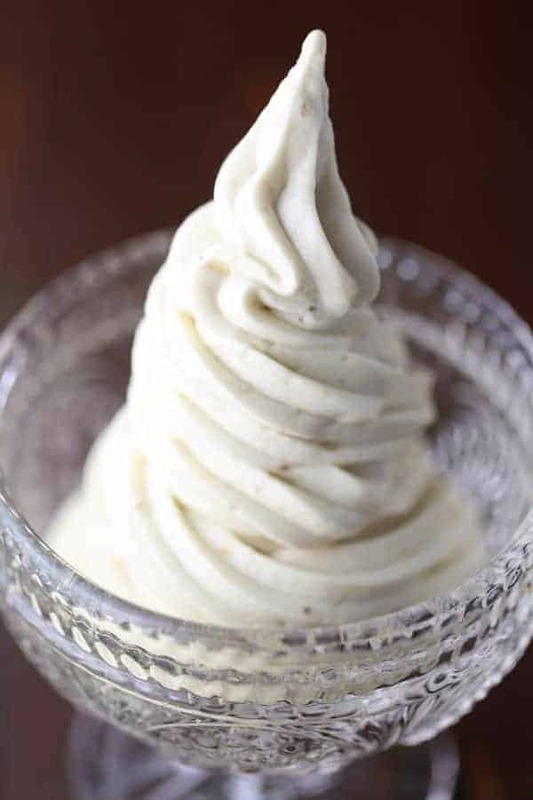 All you do is puree frozen bananas until smooth and creamy with a consistency like soft serve ice cream. It’s like magic! I tried making it myself recently and was pleasantly surprised at how easy it was to make and also quite delicious. 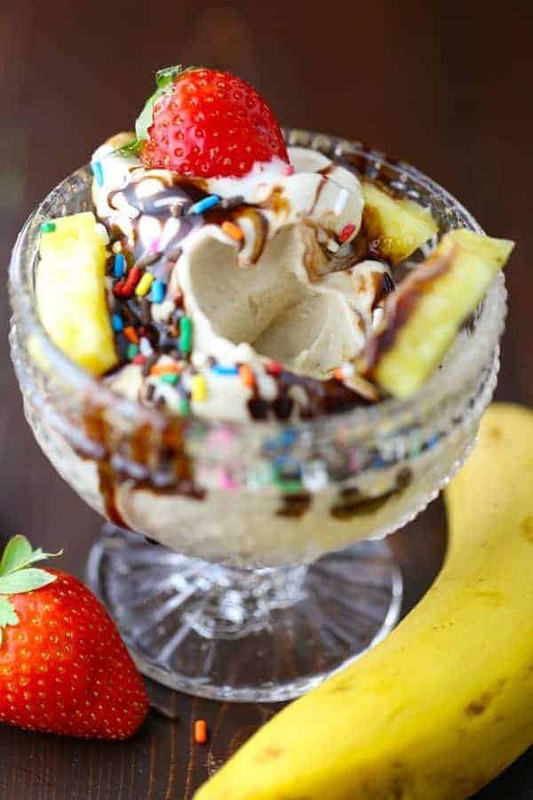 Then I thought, why not make a Banana Split with Nice Cream! With all the classic toppings. I made mine with fresh pineapple, more sliced bananas and fresh strawberries. I also added a little bit of chocolate syrup and some sprinkles just for fun. It was fantastic! I actually had it for breakfast and with no guilt. It’s basically just all fruit! How cool is that! Here are my frozen banana slices. This recipe works best with a powerful blender. I used my Vita-Mix which is one of my favorite kitchen tools of all time. I’ve had it for six or seven years now and have used it so much. It’s great for smoothies. It’s a bit expensive (I paid $500) but worth every penny. When blending the frozen bananas, it helps push down the bananas as they’re being blended so the motor doesn’t get stuck. My Vita-Mix came with this plastic tamper tool (also called an accelerator) which is perfect for this job. Carefully press down on the bananas as they are blending, but be careful not to touch the blades as they are moving. I also added a heaping teaspoon of honey for a little added sweetness. 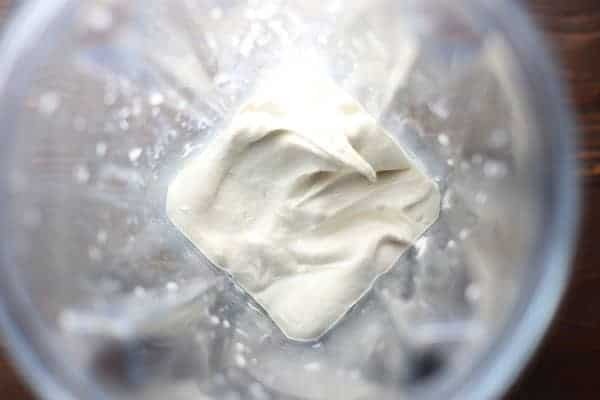 This is what the nice cream looks like when you’re done. It’s such a wonderful consistency. You’ve got to try this. I actually poured my nice cream into a piping bag fitted with a 1M tip to pipe my nice cream in a swirly pattern into the bowl. You don’t have to do this. I just wanted it to look pretty in the picture. 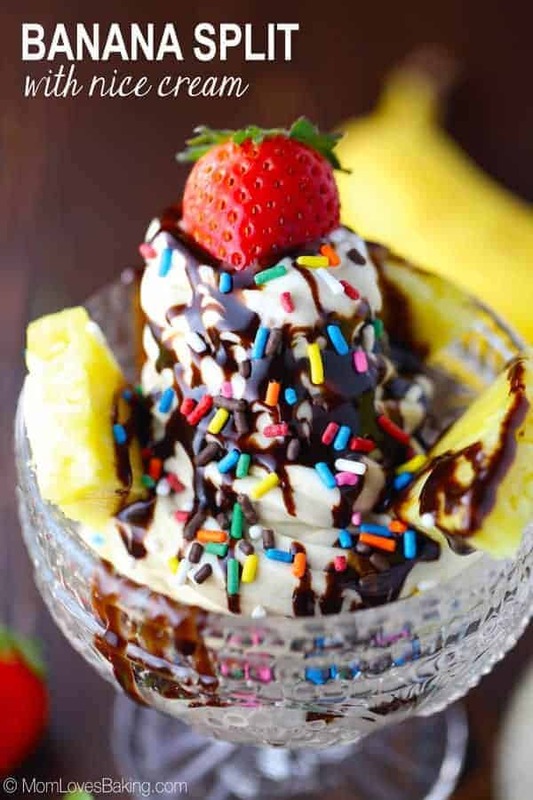 Add some sliced pineapple, more sliced bananas, chocolate syrup, sprinkles and a berry on top. Then dig in and enjoy! 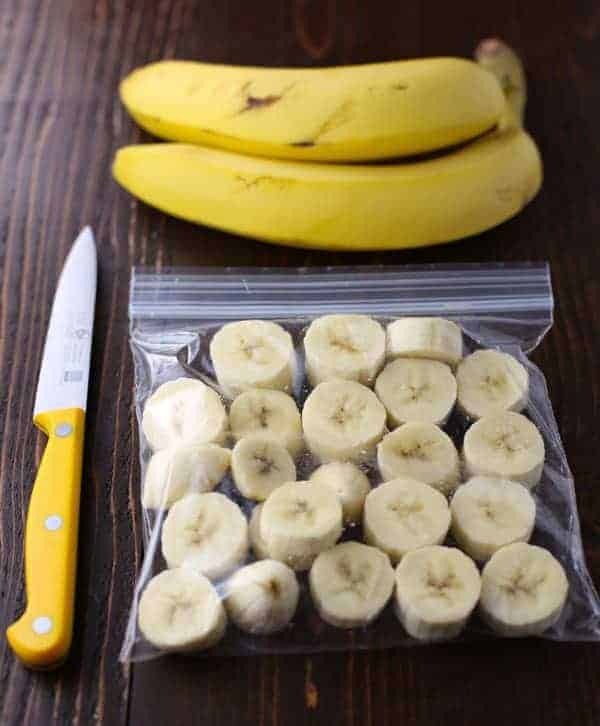 Slice bananas into 1/2" pieces and place in a plastic, zip-top bag. 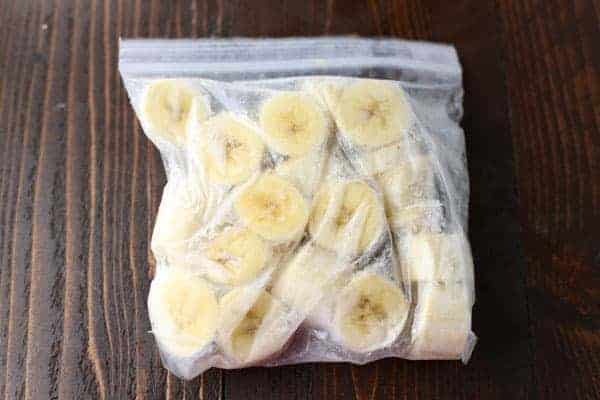 Seal the bag and place in freezer over night. 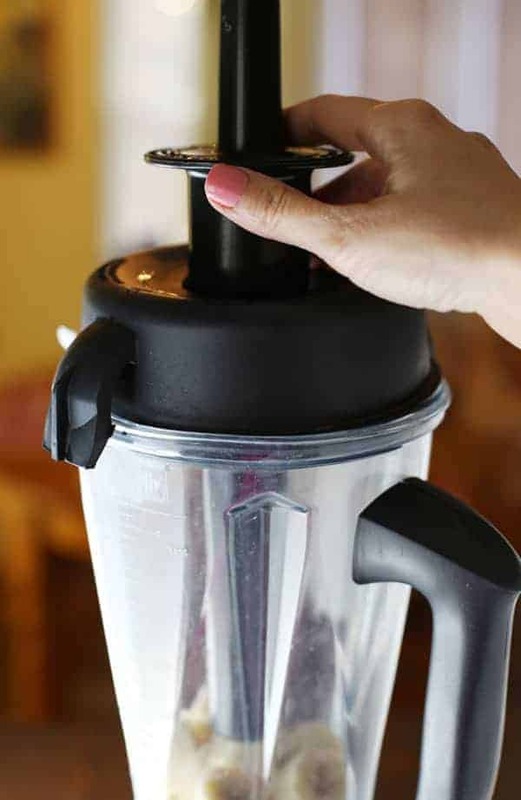 Take the frozen bananas out of the freezer the next day and place in a powerful blender such as the Vita-Mix or Blendtec. Add honey, to taste. 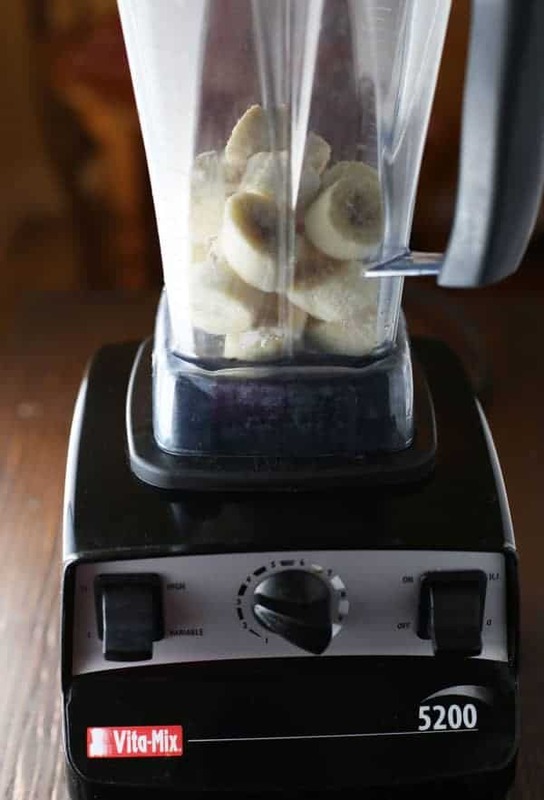 Blend bananas on low speed at first. 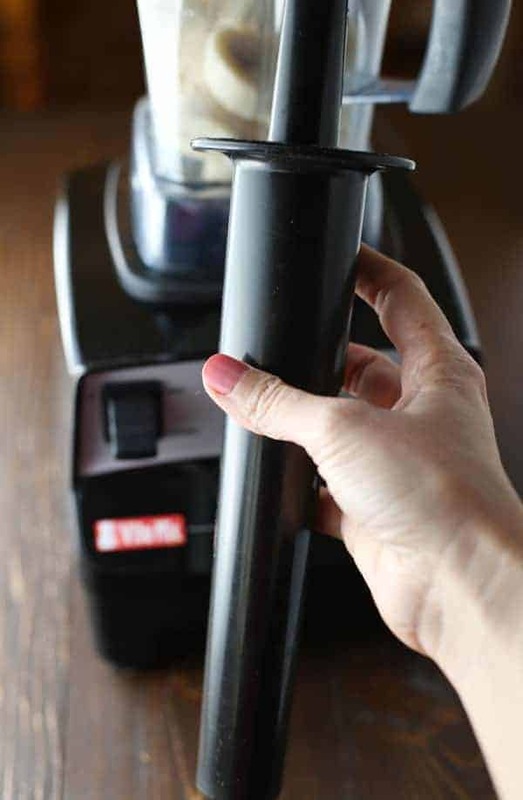 Use the plastic accelerator or tamper tool (comes with the Vita-Mix) to gently press down on the bananas as they are being blended, but be careful not to touch the blade. (If you don't have a Vita-Mix, but have a powerful blender, you could possibly use a wooden spoon to press down on the bananas, making sure not to touch the blades of the blender while in use.) Keep blending until you have a very smooth consistency. Immediately pour into a serving bowl. Add toppings and enjoy. I’ll seriously give this a try! It’s another . . . “why didn’t I think of that?” moment. So clever!